Since becoming a trend in nowadays’ stock photos business, the number of microstock websites appear on the internet has increased rapidly. They are racing in getting potential buyers from internet audience. With affordable prices for buyers and tempting incentives for the contributors / artists some of these websites are surviving from this rivalry. As a result, there are so many microstock agency available now on the internet. Some of them are quite successful, and became great company. 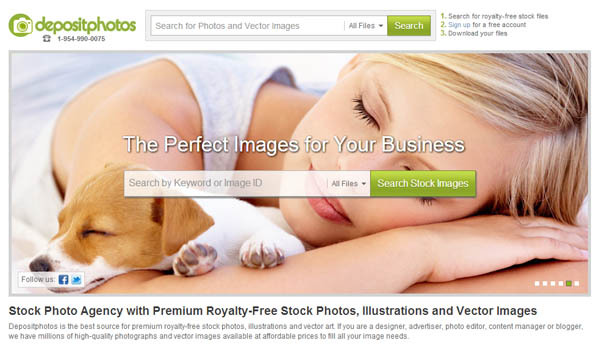 Amongst them is Depositphotos, the fastest-growing microstock agency that you can find. How could they get that kind of predicate? What kind of achievement do they actually get? 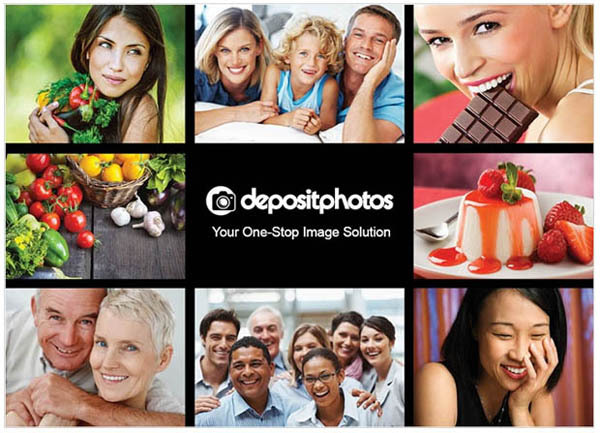 Depositphotos was founded in 2009 by Dmitry Sergiev who was working for file sharing website depositfiles. After quitting, he launched depositphotos which was a bit similar in the functionality with the depositfiles, just the content was focused on photos, illustrations images, and vectors images. Although this website faced so many obstacles at their beginning years, they managed to survive and become successful just like today. In just two years after it was founded, Depositphotos successfully gained more than 5 million images added into its library. It is also recorded as one of the websites standing on rank 6 in Google Pagerank. However, they seemed not satisfied with that because they keep improving their website with better functions, features, and also pricing. In August 2012, they announced that Depositphotos had reached 9 million images through their official blog. Besides that, in this year they also invited the contributors to start uploading videos into this website’s library to enrich its collection. Many features and functions were also improved to ease its users whether they are buyers or contributors. Feature like “smart search” and “lightbox” were gained so much improvement as they start to aim for more customers. 3 months after that, they amazingly gained 2 million more images added into their collection. So, in December 2012 they had had 11 million images displayed and sold to the internet users. If it is calculated, from 2011, Depositphotos had successfully doubled the size of their portfolio by more than half. What a fantastic achievement which was a solid proof that this website got so much trusts from its users. And finally, in the end of Januray 2013, or about less than two month, this website once again broke a new record for adding 1 million more files into its library. It means that in the end of January they had more than 12 million files (stock photos, vectors images, and videos) collection. According to the numbers shown previously we can conclude that every two year, Depositphotos always manage to do more than doubling their files collection. Moreover, the last count was done just around 1 month ago, so there is still a chance for this website to get more in the end of this year. It is obvious now, how Depositphotos gained the title as “the Fastest-Growing Microstock Agency.” That numbers spoke itself. Depositphotos is one of the best choices for images and videos agency. Thank You for the review about Depoistphotos. Used before in our blog for Photoshop tutorials !